Huntington Beach (HB), California has been an iconic flatland spot since the glory days of Martin Aparijo and Woody Itson busting out cherrypickers for the magazines. Today, that spirit still lives on. 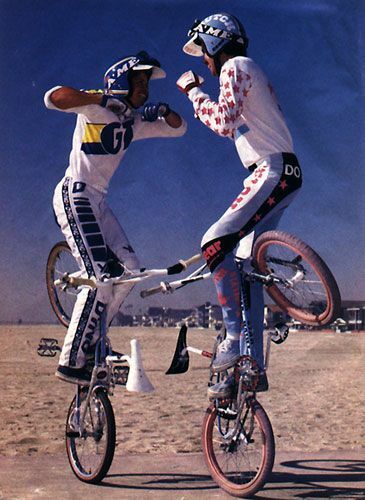 Every Tuesday, a crew of old school flatlanders meet up to bust out some flatland moves. Apparently an SE 24″ Quadangle Freestyle ended up there for one of these sessions and the crew ended up busting out some quality flatland on it.